The Global Terrorism Index (GTI) is an attempt to systematically rank the nations of the world according to terrorist activity. The index combines a number of factors associated with terrorist attacks to build an explicit picture of the impact of terrorism over a 10-year period, illustrating trends, and providing a data series for analysis by researchers and policymakers. It is the product of Institute for Economics and Peace (IEP) and is based on data from the Global Terrorism Database (GTD) which is collected and collated by the National Consortium for the Study of Terrorism and Responses to Terrorism (START) at the University of Maryland. 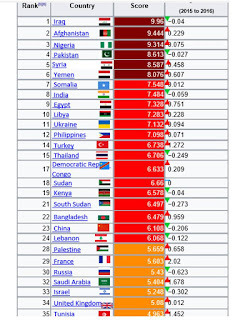 Note that Israel is 33 in the list, better placed than France and Russia. 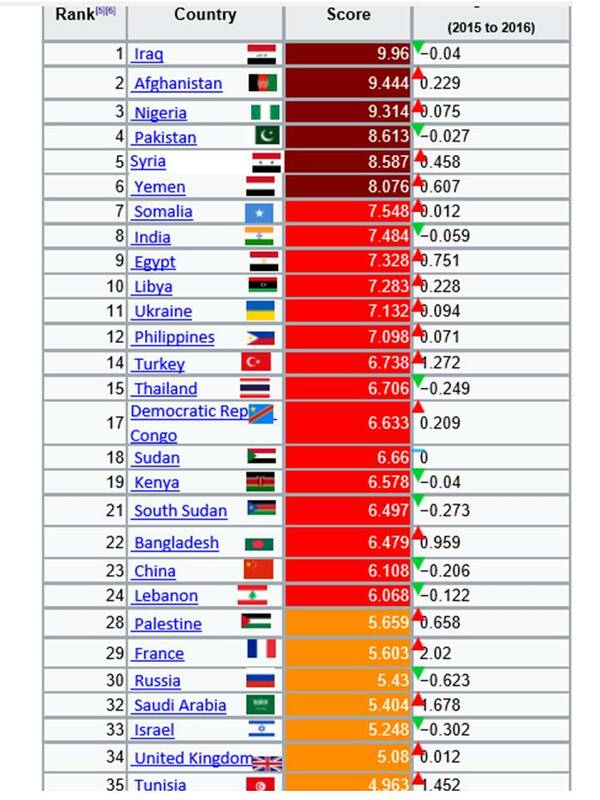 The UK is only one place better off at 34 and the USA at 36 . 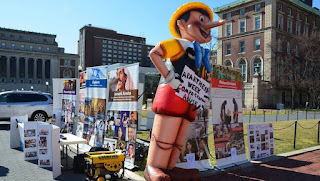 In the world of the Palestinian Authority (PA) leadership, a journalist's loyalty to his leaders and their cause supersedes his loyalty to the truth. In a word, it is the truth vs. Abbas's security forces. As the international media relies heavily on Palestinian journalists and "media assistants" in covering Palestinian affairs, this intimidation of Palestinian journalists heavily colors the reporting of Western journalists. The stories Palestinian journalists tell their Western colleagues are limited to ones that will not endanger their own lives. This censorship, whether by the Abbas's security forces or self-imposed, explains why one rarely reads or sees a story in Western mainstream media about negative things happening in the PA-controlled territories. Even when their Palestinian colleagues are beaten and arrested by Abbas's security forces, these "journalists" fail to report such incidents. This makes some sense: should they open their mouths with the truth, Abbas and his cohorts might indeed stop inviting them to press conferences and banquets in the fancy restaurants of Ramallah, Bethlehem and Jericho. Seven Palestinian journalists are the latest victims of the Palestinian Authority's (PA) continued crackdown on the media. The repressive measures are aimed at silencing critical voices among the journalists and deterring others from reporting stories that reflect negatively on the Palestinian leadership in particular and Palestinians in general. In the view of President Mahmoud Abbas and his PA, Palestinian journalists exist to write stories slamming Israel or praising PA leaders. Media, for them, is defined as a mouthpiece for Abbas, the PA leadership and the Palestinian cause. Any journalist who dares to think outside this checkpoint is subject to severe punishment. Under Abbas and the PA, there is no room for an independent media. The three major Palestinian newspapers -- Al-Quds, Al-Ayyam and Al-Hayat Al-Jadeeda -- are controlled, directly and indirectly, by the PA. In the video you’ll meet Israeli medical clowns - one Jewish and one Christian Arab - who bring relief and break down social barriers, one giant puffy red nose at a time. As Abbas and his advisors prepare for the May 3 meeting with Trump, thousands of Palestinians gathered in Ramallah to call on Arab armies to "liberate Palestine, from the (Jordan) river to the (Mediterranean) sea." The Palestinians also called for replacing Israel with an Islamic Caliphate. It is possible that deep inside, Abbas and many of his top aides identify with the goals of Hizb ut Tahrir, namely the elimination of Israel. Abbas also wishes to use these Islamic extremists to depict himself as the "good guy" versus the "bad guys." This is a ploy intended to dupe Westerners into giving him more funds "out of fear that the Islamists may take over." Abbas's claim that he seeks a just and comprehensive peace with Israel is refuted by fact after fact on the ground. His sweet-talk about peace and the two-state solution will have far less impact on Palestinians than the voices of Hizb ut Tahrir and its sister groups, which strive to "liberate Palestine, from the river to the sea." Westerners often refer to Ramallah as a modern and liberal city dominated by Palestinian leader Mahmoud Abbas's Fatah faction. The city boasts fancy restaurants and bars where alcohol is served freely to men and women in Western dress, who sit together to eat and to smoke water pipes (nargilas). But the scenes on the streets of Ramallah, headquarters of Abbas's Palestinian Authority (PA) last week broadcast a rather different message -- one that calls for the elimination of Israel. The message came on the eve of Abbas's visit to the White House for his first meeting with US President Donald Trump. According to PA officials, Abbas is scheduled to affirm during the meeting with Trump his commitment to the two-state solution and a "comprehensive and just peace" with Israel. Hosting about 1,200 students each year, AICAT has produced more than 16,000 alumni. In the coffee, rice and rubber farms of Vietnam’s Central Highlands, 24-year-old Trung Nguyen has seen all too many relatives develop cancer, due to the unfettered use of chemical pesticides. As he nears the end of a 10-month agricultural training program in Israel’s Arava Desert, Nguyen is determined to bring what he has learned back home, to both change this stark reality and modernize farming techniques in the local Buôn Ma Thuôt community. Nguyen is a participant in the diploma program at the Arava International Center for Agriculture Training (AICAT), a learning institute in the central Arava Desert community of Sapir and under the jurisdiction of the Central Arava Regional Council. Established in 1994, AICAT operates with the support of the Foreign Ministry and the Agriculture Ministry, and benefits from funds raised by Jewish National Fund-USA. Hosting about 1,200 students each year, AICAT has produced more than 16,000 alumni who are determined to adapt the skills they have learned in their communities back home in Africa and Asia, according to Noa Zer, the regional council’s resource development director. For the duration of the Arava’s agricultural season, from about August to June, the students come to AICAT to hone both their theoretical and practical skills, all the while living with farmers in the region and earning money by working with them, Zer explained. Not only do they study new cultivation techniques and agricultural technologies, but they also learn a wealth of management, marketing and business skills in the program. While most of the students come to participate in the 10-month diploma program, about 20 people each year have now been signing up for a master’s degree track – an option launched two years ago in collaboration with Tel Aviv University, Zer said. In addition to offering the diploma and master’s degree programs, AICAT hosts groups for short-term groups in advanced agricultural studies. No matter which course the students choose, Zer stressed that their exposure to innovation and the spirit of the Arava Desert continues to guide them when they return home. Paired to work and live with individual farmers, each student in the diploma program must formulate a mini project related to the crop cultivated at that farm, and present the results of the assignment at the end of the 10-month program, explained one of their teachers and a farmer herself, Maayan Plaves Kitron. “The most important thing that they gain here is the option or the ability to think not in a traditional way, like their parents do,” said Plaves Kitron, who is the horticulture coordinator at the Yair Research and Development Center (Central and Northern Arava R&D Center). In order for more students like Nguyen to come learn at AICAT, JNF-USA is providing financial support for an ongoing expansion project to double the capacity of the program’s campus. As Earth Day approaches this April 22, the organization is including the training center among its top priority fund-raising efforts. Already by next year, JNF-USA executives said they hope to see 2,000 students training at AICAT, and 5,000 in the near future. While AICAT participants may gain enormous advantages as they head back to manage their farms at home, Zer pointed out how Israel also benefits significantly from hosting them, even if temporarily. The explosives were hidden in tubes labelled "medical materials." The tubes were found during a security inspection, at the crossing, of the tools of two sisters, residents of the Gaza Strip, and were dealt with by Israel Police sappers. The sisters' entry into Israel had been approved in order that one could receive treatment for the cancer from which she suffers. A preliminary investigation revealed that the explosives were sent by Hamas. It is believed that they were to be used in Hamas terrorist attacks in the near future. The foregoing attests to the ongoing efforts by terrorist organizations based in the Gaza Strip, especially Hamas, to exploit Israel's humanitarian initiatives and the medical assistance that it provides to residents of the Gaza Strip, in order to perpetrate attacks in Israel. The investigation of the two sisters is continuing. Security inspectors at the Erez Crossing were commended for thwarting the smuggling of explosives into Israel. A spokesman said "To our regret, it has been proven again that Gaza Strip-based terrorists are continuing their efforts to exploit the humanitarian channel in order to carry out attacks in Israel. The security inspectors acted exactly as expected, with exemplary professionalism." 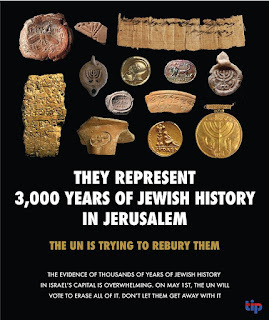 In an absurd draft resolution put before UNESCO by the Arab states on behalf of the Palestinians, due for a vote on May 1st, an attempt will be made to contest Israeli sovereignty over West Jerusalem ( having already done the same with East Jerusalem) This resolution is, in effect, an attempt to erase over 3,000 years of Jewish history in the Israeli capital. 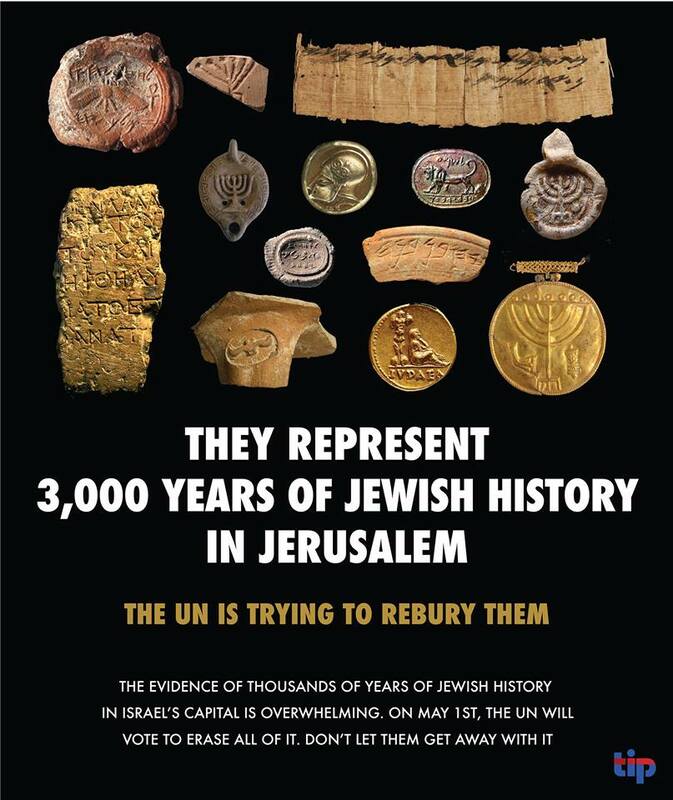 One of the primary reasons UNESCO was founded was to preserve history, not rewrite it. PLEASE SHARE and help us contest this ridiculous resolution. )Ed:- there is a lot of publicity whenever the subject of home demolitions is acted upon. Little is known by journalist of the background of this subject. With uncontrolled expansion of Beduin villages, more and more land is being taken up with no services available. Arab nationalists, the Islamic Movement, and the EU are provoking the Beduin to resist Israel’s benevolent development plans. The usual professional anti-Israel activists – rabble-rousing Arab MKs, far-left activists in Israel and from abroad, and some EU officials too – are stirring the Beduin pot to advance an incendiary and false narrative of Israeli dispossession and discrimination. They are seeking to turn the Beduin issue – a professional planning and social development issue on which Israel is trying to do good – into a nationalist tug-of-war and yet another tool to delegitimize Israel. It was they, in fact, who forced the breakdown in negotiations in January between Israel’s Beduin Development and Settlement Authority and the villagers of al-Umm Hiran, which led to confrontations and the killing of both a policeman and a local Beduin man. After a long legal struggle all the way up to the Supreme Court (which they lost), the villagers had mostly agreed on a broad deal with the government for relocation to modern housing. But at the last minute, the radical activists swooped down on the Negev, and shamed and threatened the village leaders into rejecting the understandings reached with the government. This is the pattern of radical agitation, rejection and violent struggle that could repeat itself over and over again in the coming years, stymieing Israel’s considerate and responsible plan for boosting the Beduin. This would be a tragedy, because most Beduin undoubtedly want to work cooperatively with the government in lifting their marginalized communities out of poverty and crime; and because the government must seize the opportunity to husband the lands of the Negev for all Israelis – before it is too late. The battle is being played out in the E1 quadrant as well, where Israel plans to demolish an illegal and provocative Beduin encampment called Khan al-Ahmar, near Ma’aleh Adumim. The EU has threatened Israel with retaliation if it does so, out of “deep concern” for Palestinian rights in Area C of Judea and Samaria. Of course, the Beduin shantytown is there in order to block Israel’s plans to develop E1. And the Italians funded a Beduin school there for the same purpose. Outrageously, the EU has begun to intervene in Beduin Negev matters, too, monitoring and protesting Israel’s every move – which is gross and hostile interference in Israel’s internal affairs. Essentially, the EU is conflating the Beduin struggle with that of the Palestinians in the West Bank, advancing a narrative of Israel as a colonial occupier against indigenous and oppressed peoples. AT LEAST 210,000 Beduin live in Israel’s South, making up 30% of the Negev’s population, sprawling uncontrollably and illegally across ever-greater tracts of land in the northern Negev. One-third to one-half the Negev Beduin live in 1,700 “non-recognized” rural settlements where little, if any, municipal services exist, including basic water and sewage infrastructure. There is no municipal planning or taxation. It’s no surprise that these Beduin communities suffer from extraordinary high rates of unemployment, poverty, criminal activity, violence against women, and Islamic radicalization. The matter is exacerbated due to the high rate of growth of the Beduin community. In 2013, the government adopted the “Prawer-Begin” plan, based on the recommendations of a committee chaired by former Supreme Court justice Eliezer Goldberg, and named for a professional team of high-ranking officials headed by Ehud Prawer, and later by MK Bennie Begin. Hundreds of meetings with Beduin leaders were part of the consultative process leading to this point. Under the plan, some 30,000 of the 100,000 Beduin who live in squalid and illegal encampments were to be relocated, and moved to developed lots in nearby farming, suburban or urban communities, with compensation. But under pressure from the radicals, the Beduin resisted the plan. And right-wing figures accuse Begin of handing thousands of dunams of land (10 dunams equal 1 hectare) to the Beduin as a gift, without significant legal source for the Beduin claims. So the Prawer-Begin plan died. It was abandoned, despite the fact that it drew support across Israeli political party lines, and despite the fact that many brave Beduin leaders bucked the bullying of militant Israeli Arab leaders to speak out in favor of the plan. LAST YEAR, the cabinet adopted Construction Minister Uri Ariel’s revised plan to invest NIS 3 billion over the next five years in upgrading Beduin communities in the Negev. Ten new industrial areas will be established in Beduin areas, NIS 420 million will be invested in improving employment opportunities (including job training programs for Beduin), and NIS 250m. will be spent on developing Negev public transportation routes. Minister Ariel’s approach is to quietly negotiate tribe by tribe and family by family, to encourage the move of Beduin from wretched to honorable towns; from ramshackle to modern villages; from anarchic to organized and legal settlements. He is acting to save both the Beduin and the Negev. Of course, social engineering is no easy task, even without the interference of professional agitators who are hell-bent on co-opting the Beduin as a tool against the state. Altering the Beduin patriarchal culture and pre-modern mode of desert living, and integrating the Beduin into Israeli society, will take years of careful negotiation and cautious planning. The Netanyahu government should be praised, not vilified, for advancing comprehensive, judicious (and very expensive!) plans that will both ensure advancement for the Beduin community and preserve Israel’s lands for the broader public. The question of whether today’s Israel is akin to the old South Africa was forcefully rejected by former anti-apartheid activist Benjamin Pogrund in an op-ed in The New York Times last week, once more triggering passionate discussion over the question. But in recent months, a growing number of young black South Africans — including members of the ANC’s youth division — have visited Israel and now forcefully reject the parallels drawn between the racist regime under which their parents suffered and the current reality for Palestinian Arabs — in Israel, the West Bank and Gaza. 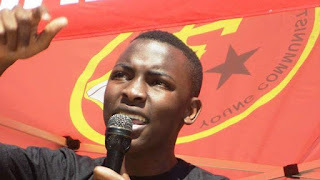 Prominent among them is Nkululeko Nkosi, a 23-year-old member of the ANC Youth League. Nkosi, who hails from Kathlehong township in Johannesburg and recently obtained an undergraduate degree in law, went on to argue that apartheid was about race, while the Israeli-Palestinian conflict encompasses both religious and territorial disputes. Nkosi ended his article with a plea to fellow South Africans not to “steal” the term apartheid by inaccurately applying it to the Middle East. Israelis and Palestinians may feel that one group hates the other, but this reality “is very different from the legally-blessed racism, based on the discredited idea of white supremacy, that once reigned in my country,” he posited. Nkosi, who once hoped to run for national office for the ANC but has been shunned by the party for his pro-Israel views, first learned about the Israeli-Palestinian conflict in 2013, when a group of students disrupted a performance by a famous Israeli pianist. Even though the ANC officially discourages travel to Israel, thousands of South Africans visit the country every year. According to Israel’s ambassador in Pretoria, Arthur Lenk, the number of South African tourists who visit the Jewish state “significantly” increased in 2016. Nkosi’s all-expenses-paid visit to Israel in 2016 was organized and sponsored by the South African-Israel Forum, a nonprofit seeking to promote bilateral relations. “I got the opportunity to meet with Israelis and Palestinians,” he said, recalling that he visited universities with “vibrant Arab student populations,” as well as the Qalandia refugee camp. Ironically, perhaps, it was the ANC’s encouragement to think differently that impacted Nkosi. “My view differs from the ANC’s because I have been taught by the ANC to discuss and question everything,” he said. The disdain is mutual, as the party not only officially discourages travel to Israel but also publicly shames members who speak positively about the country. And yet, Nkosi is optimistic regarding the future of Israel-South Africa relations. While he acknowledged that the ANC, which is closely affiliated with the Boycott, Divest and Sanctions (BDS) movement, is unlikely to engage in constructive political dialogue with Jerusalem, he hopes that Pretoria’s current economic worries will lead to some sort of rapprochement down the line. Any day can be a Good Deeds Day and tikkun olam (repairing the world) can begin at home, as a way of life. One good turn deserves another, so 1.1 million good deeds deserve at least a mention in a humble column, especially as similar selfless acts are spreading from Israel around the world. More than a million Israelis marked Good Deeds Day on March 28. Doing good is a growth industry. International Good Deeds Day will be held on April 2, when volunteers will be thinking and acting positively in 93 countries. Good Deeds Day is one of Israel’s best exports, right up there with Waze and the disk-on-key (flash drive). It is a modern adaptation of an ancient precept: - that behaving as a decent human being comes before everything else. Creating a specific day dedicated to doing good was the idea of businesswoman and philanthropist Shari Arison, who launched the project 11 years ago via Ruach Tova (Good Spirit), her nonprofit, which is part of the Ted Arison Family Foundation. It is easy to mock Arison’s feel-good approach – who doesn’t believe we, too, might have a happier attitude were we the country’s richest woman, heir to a family fortune, whose family business includes being the major stakeholder of a bank (Hapoalim, in the case of the ever-smiling Arison)? But she seems to be on to something because the project gets bigger from year to year, and part of the attraction is its simplicity. It is much easier to commit to participating in a one-off project than to dedicating time and energy in ongoing voluntary and philanthropic works. In the beginning, in 2006, some 7,000 people took part. But all that positive energy has created its own momentum and now nearly all municipalities in the country, representing all sectors of the Israeli population, and hundreds of schools, academic institutions, businesses, organizations and the IDF, offer their services as part of the project. The activities were as varied as the participants and included volunteers painting houses and daycare facilities for the elderly; cleaning up beaches and parks; renovating daycare facilities for children at risk; planting and tending community gardens; packing and delivering food packages for the needy; and recycling projects. Among my favorites are the hair stylists who volunteered their services cutting hair to be donated to make wigs for cancer sufferers. In a “pet cause” close to my heart, the members of the Jerusalem Municipal Veterinary Services carried out necessary renovations at the Jerusalem Society for the Prevention of Cruelty to Animals, and veterinarians volunteered their time and surgical skills to neuter dogs and cats at the shelter to help keep the city’s stray animal population down. The JSPCA and other animal groups also used the day as a marketing tactic, the perfect date to adopt a four-legged friend for life. As Arison posits, we are all rich with potential, body and soul when it comes to doingsomething good and being a positive force. It’s never too late to start, but obviously it’s easier to grab kids while they are young and make doing good a part of their lives. The Israeli state education system considers fostering a spirit of volunteering an essential part of the curriculum. Students from 10th grade on have to participate in a 60-hours-a-year “personal commitment” program, volunteering in projects including helping in hospitals, health fund clinics and old-age homes; serving with the ambulance, police or fire services; packing food packages for the needy; repairing old computers for use by those unable to afford new ones; and helping children with illnesses and disabilities. The Ted Arison Family Foundation presents its worldview as rooted in three Jewish values: charity, acts of loving-kindness and tikkun olam (repairing the world). But obviously you don’t have to be Jewish to share these values. Any day can be a Good Deeds Day and tikkun olam can begin at home, as a way of life. Violins, not violence: The Nazareth-based Polyphony venture fosters musical and cultural harmony. It has been mooted that the basic difference between discrimination and mutual acceptance is that, while in the former case, we see anyone different from us as inferior, possibly threatening and certainly unwanted, the latter entails the realization that, if someone is different from us, by the same token we are different from them. Then again, there are always common denominators to be sought and found, and that can help to bridge discrepancies in cultural, religious and political lines of thought. That all sounds delightfully healthy and uplifting, and the project appears to be making waves across the upper echelons of the international music community. The Polyphony Artistic Partners cross-disciplinary roster includes the names of such illustrious members of the global art world as conductors Zubin Mehta and Sir Andras Schiff, opera singer Renée Fleming, multimedia artist Yoko Ono, jazz saxophonist Branford Marsalis and Israeli singer-songwriter David Broza. The professional supporter lineup is mightily impressive, and there appears to be an abundance of layman backing, too. Getting youngsters to play and enjoy classical music, says Abboud-Ashkar, offers added value for all, and not just in the Middle East. “When you appreciate this kind of music, and are able to perform it, you immediately become part of a much larger and more international community. Then there are the rewards to be gained from engaging in an activity that is not only creative but also requires the participants to cooperate and to listen to each other in order to reach a pleasurable and quality end result. The Nazareth-based initiative is clearly managing to provide young Jews, Muslims and Christians here with a bridge spanning sociopolitical and ethnic gaps that can sometimes appear to be entrenched and permanently divisive. In Keshet Eilon, Abboud-Ashkar and his cohorts in the Nazareth-based program found a natural bedfellow. “We founded Keshet Eilon [at Kibbutz Eilon in the Western Galilee] in 1990,” says general manager Gilad Sheba. “We called the program ‘keshet’ because of the bow of the violin, but also in the sense of a bridge between cultures and people. Polyphony continues to go about its educational and enlightening business, which takes in joint ensembles with Keshet Eilon. Abboud-Ashkar is conscious of the need for spreading the word as far and wide as possible, in addition to enabling youngsters to acquire precious musical skills, and then helping them to raise their game. Mother Nature precludes the existence of anything in a vacuum, and that applies equally to the social environment. Polyphony duly invests in generating the requisite support group context, to create a healthy and encouraging environment for the kids to follow their natural artistic bent. • A glance at the Palestinian leaders and senior officials tells a clear story that Palestinian Authority jobs go to "graduates" of Israeli prisoms. • The longer the time spent in prison, the higher the military rank. Ten years will earn them the rank of Colonel. More than that will earn them General. The path to winning a job with a PA ministry also passes through Israeli prisons. These are the leaders touted as role models to young Palestinians. Yad Sarah, the largest voluntary organization in Israel, provides a spectrum of free or nominal cost services designed to make life easier for sick, disabled and elderly people and their families. Today, more than four decades after it was founded, Yad Sarah has more than 100 branches throughout Israel run by more than 6,000 volunteers, and saves the Israeli economy several hundred million dollars per year in hospitalization and medical costs. Yad Sarah's mission is to keep the ill and the elderly in their homes and out of institutions as long as possible. Home care in the natural environment of the family is most conducive to healthy recuperation, both physically and emotionally. It also costs much less. Yad Sarah's best-known service is the lending of medical and rehabilitative equipment on a short-term basis free of charge to anyone who needs it from a stock of thousands of items, from crutches and wheelchairs to oxygen concentrators and electronic monitors. Now an emergency device that sounds an alert at Yad Sarah when an elderly person falls and calls for medical help has been introduced by the voluntary organization. A hip fracture in the elderly has to be repaired surgically within 48 hours or it can lead to complications and even death. The inexpensive smart device will soon be available free at all of Yad Sarah’s 103 branches. Developed in China, it is an upgrade of the emergency beeper worn like a watch on the wrist that calls Yad Sarah for help. 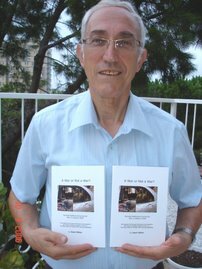 The button on the device doesn’t even have to be pressed; it senses when the wearer has lost his balance and fallen, said Yad Sarah founder and president and former Jerusalem mayor Uri Lupolianski, who set up the organization exactly 40 years ago when he sent a neighbor a steam vaporizer. The disabled and elderly who live alone need only register for the emergency beeper service and receive the device. If they fall or call for help, Yad Sarah’s emergency center manned round the clock, seven days a week will respond according to the data about the subscriber that appear on their computer screens. The lightweight wireless device connects to the regular home phone line and is suited to all telephone companies. It issues a signal if the phone line or electric cable have been disconnected. It has been approved by the Israel Standards Institution and the Communications Ministry. It works on batteries in the event of a power failure and is water resistant. A group of Palestinians tried to burn some Israeli Jews to death March 23. Just another day in the Middle East. The four attackers drove up to the perimeter of the Jewish community of Beit El, north of Jerusalem, and began hurling firebombs toward homes there. A firebomb, also known as a Molotov cocktail, is of course a deadly weapon. It explodes on impact and unleashes a torrent of flames. We can all easily imagine what would happen if those firebombs had struck people or homes. Fortunately, Israeli soldiers immediately fired at the would-be murderers, killing one and wounding three others. That should be the end of the story. But it won’t be. Here’s why. To begin with, one of the terrorists was 17 years old. That means “human rights” groups will add him to their list of “Palestinian children killed by Israelis.” Even if a killer is just one day shy of his 18th birthday, that’s good enough to define him as a “child” in the eyes of those who want to smear Israel. Since a significant number of readers don’t get past the first paragraph of a news article, the opening sentence is crucial. And the opening sentence here strongly suggests that the Israelis killed a Palestinian teenager, and injured three others, for no reason. And here’s how the AFP story explained the broader context: “A wave of violence that broke out in October 2015 has claimed the lives of 257 Palestinians, 40 Israelis, two Americans, one Jordanian, an Eritrean, and a Sudanese national, according to an AFP count.” Notice how the violence just “broke out,” like a mysterious illness with no obvious culprit. Here’s something else that few in the mainstream media will report: the Palestinian Authority’s (PA) immediate endorsement of the terrorists who tried to burn Jews alive. According to the Palestinian news agency Ma’an, the governor of de facto PA capital Ramallah, Laila Ghanam, called the dead terrorist “a martyr.” She also tried to spread some fake news, declaring that the gang of four “had been driving peacefully” when cruel Israelis attacked them. “This is another crime,” the PA governor proclaimed. She also said “we wish a quick recovery” to the three wounded terrorists, presumably so they can resume trying to set Jews on fire. You won’t read Ghanam’s remarks in The Washington Post or hear them quoted on CNN. That would remind the American public that Palestinian leaders support burning Jews to death, and publicly lie to cover for the would-be killers. And that would undermine the campaign to give the firebomb-throwers a sovereign state in Israel’s backyard.